Los Angeles, CA. 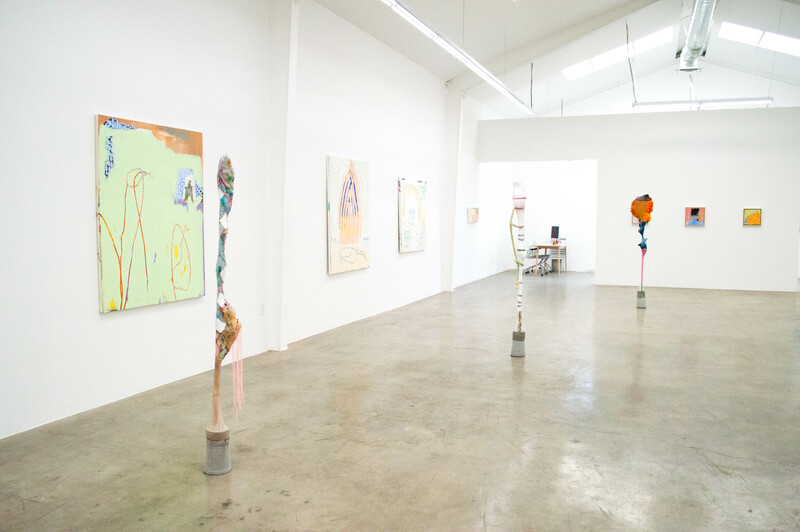 (February 19, 2017) Jason Vass (1452 E 6th St, Los Angeles, CA 90021) will present Ready to See featuring new works by LA based artists Dan Callis and Tina Linville on Saturday March 4, 2017. Ready to See is a two person exhibition of sculpture and painting. Each work is the product of a unique embodiment derived out of the artist’s cumulative experiences. 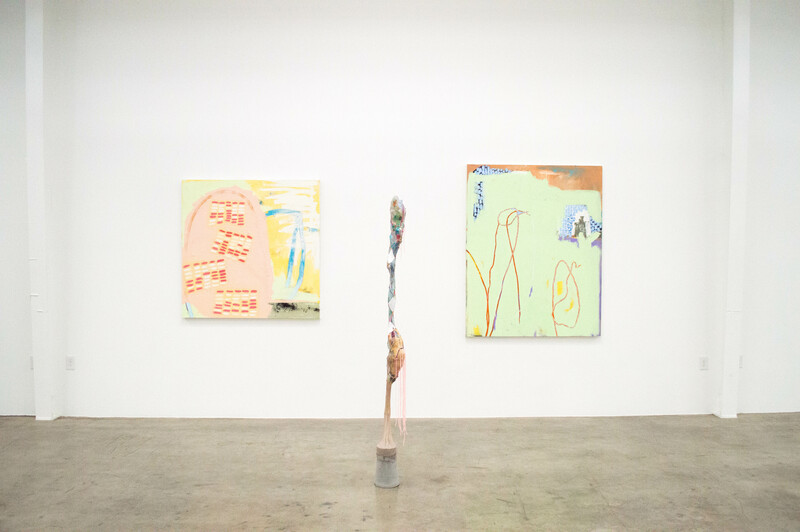 Both Callis and Linville’s work display consciously evolved processes, evidenced by labored surfaces of contemplative and instinctual accumulation. The work adopts personhood and takes on a lived life. It becomes an archive of conversation between mark and material, structure and concept. The exhibition will continue through April 15, 2017 and there will be an opening reception on Saturday, March 4 from 6 – 9 p.m.
paint itself. There is also the subject of poetic image. It is in this relationship that Callis nds strong connections to the experience of being in body. 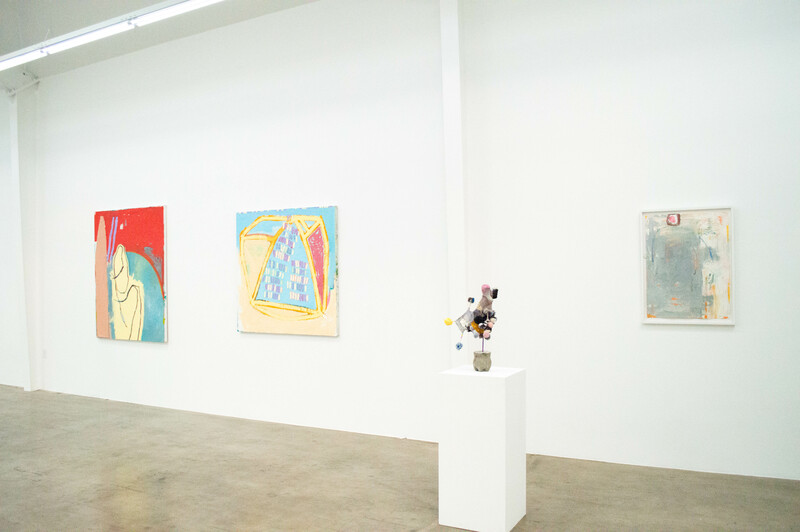 Callis thinks of his paintings as obstructions and yet they are also points of interface. They are joyfully occupying a space between receding and becoming. Tina Linville combines basic tendencies of collecting and arranging with textile construction processes that showcase human ingenuity to transform salvaged everyday objects and materials into densely worked sculptural forms. Linville’s studio practice prioritizes instinctual and intuitive knowledge operating into the art impulse from the inside out. Linville creates things that side step easy categorization, blurring distinctions between abstraction and representation, objecthood and installation, form and surface. What is ordinary becomes mysterious and out of undervalued parts comes an indelible whole. Dan Callis is a visual artist/educator. He received his MFA from Claremont Graduate University. His work includes painting, drawing, and installation. In addition to his individual studio practice, Callis has collaborated extensively, including partnering with individuals with physical and developmental disabilities, working on projects with a eld biologist in Baja, Mexico, a sociologist in Las Vegas, a theologian from Duke Divinity School and an LA based poet. He is currently involved in a multi-artist project responding to the music of American composer, Morten Lauriden. Tina Linville received her BFA in Sculpture from the University of Washington and her MFA in Fibers from California State University, Long Beach. Her sculptures, installations and collaborative projects have been featured in exhibitions by the Los Angeles Municipal Art Gallery, the Sam and Alfreda Maloof Foundation and Craft in America, Torrance Art Museum, 18th Street Art Center and Mains D’Oeuvres in Paris, France. Linville has earned several awards for her work, most recently the Distinguished Achievement in Creative Activity from CSULB in 2013. She lives and works in Long Beach, California. 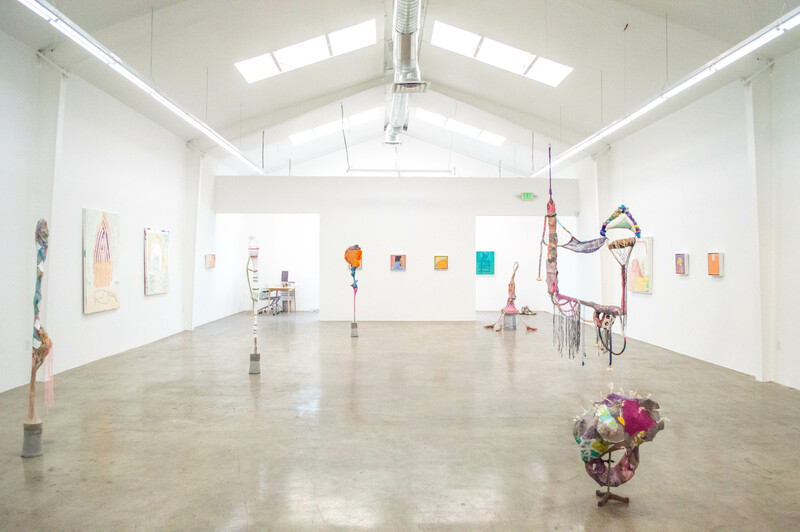 Situated in the burgeoning arts district neighborhood of Downtown Los Angeles in a 2,700-square foot space designed to accommodate diverse exhibitions and related programs, the gallery aims to create an exhibition platform that offers a historical perspective through the lens of contemporary artists. 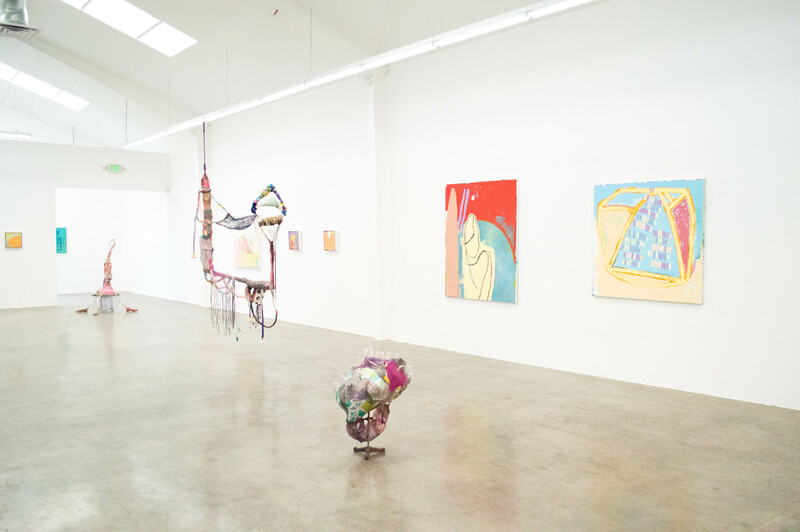 The gallery is committed to cultivating emerging talent and supporting established artists from around the world. Exhibiting artists include: Luke Austin, Deborah Brown, Dan Callis, Mark Dutcher, Nancy Evans, Emiliano Gironella Parra, Douglas Tausik Ryder. The gallery manages the estate of Gene Vass.